Tony Lossano, etc. : The Trick With Divvy Bikes! The Trick With Divvy Bikes! I am a law-abiding avid biker. Neither snow nor rain nor heat nor gloom of night will stop me from riding my bicycle. OK, I kinda took that from the U.S. Post Office, but since they went out of business years ago, I do not think that they would mind me using it. 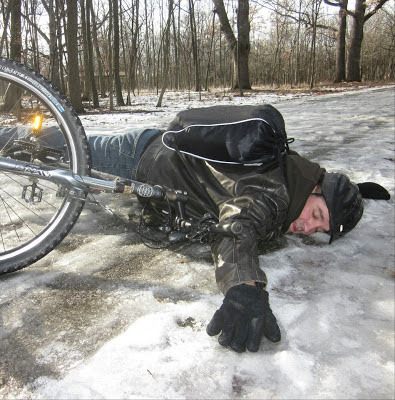 [singing] Dashing through the snow...on a bike! (OK, that may need some work still). Divvy's blue is a winter color! This was me before Divvy! Bike sharing isn't a new thing to Chicago. 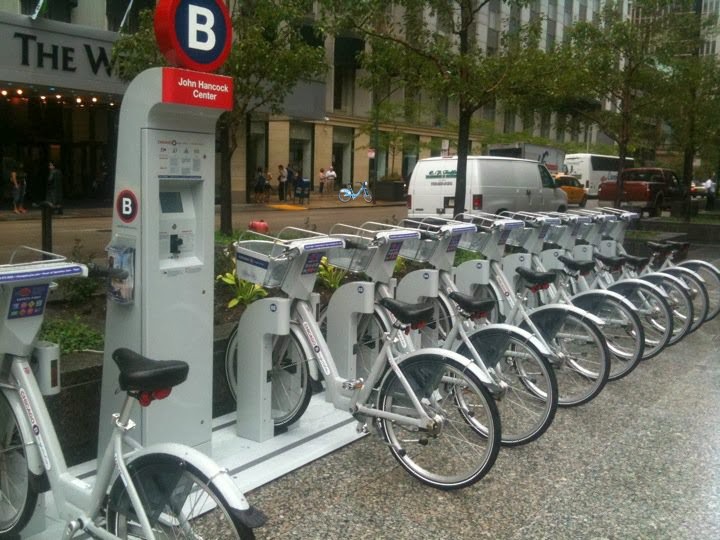 Back in 2010, a company called, B-cycle, brought 100 bikes to six stations throughout Chicago. Their pricing wasn't as affordable, the convenience was obviously limited and the city, itself, wasn't as bike as friendly with all of the free bike lanes! However, today, all of that has changed. 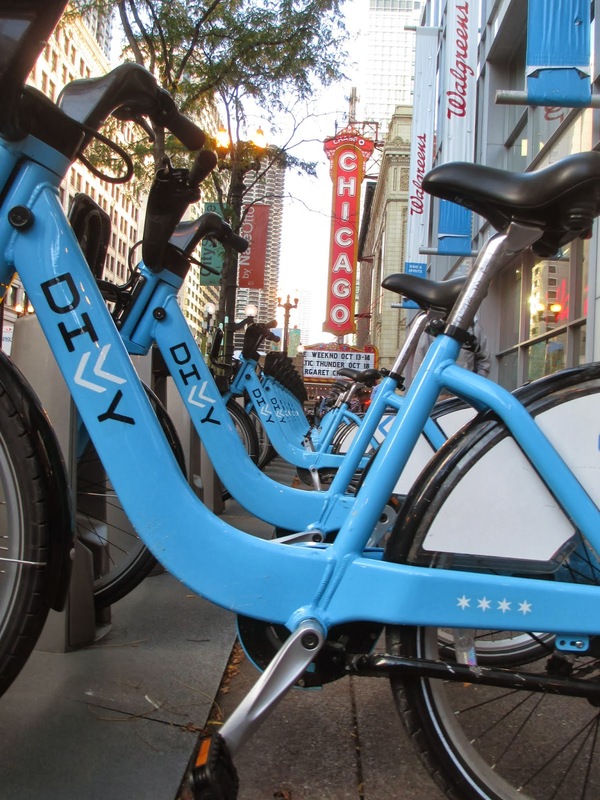 There are now over 200 miles of bike lanes, Chicago Divvy bikes are expanding as well, from 300 bike stations to 475 stations by next year. Plus it is affordable! A $75 membership for the whole year, which comes with unlimited rides, anytime, day or night...well, excluding the $1,200.00 that you could be charged for a single day use...but more on that little snag in a moment. Using a Divvy is a simple process. 1st: Purchase a 24 hour pass or one year membership. 2nd: Pick out the bike you want to ride. 3rd: Ride as much as you want, as long as you dock your bike up to a Divvy station within 30-minutes. 4th: Return and lock your bike up at any station. OK, that 3rd one is a bit important. You do need to find a station and dock it, even if you are not done riding or end up at your destination. Divvy does monitor each station and works on keeping a balance of bikes and open slots at each spot. But if you run into an issue, they ask that you call them, to avoid any extra charges. If you go over 30 minutes, without docking, you are charged an overtime fee. The first extra 30 will cost you an additional $1.50. That seems fair. 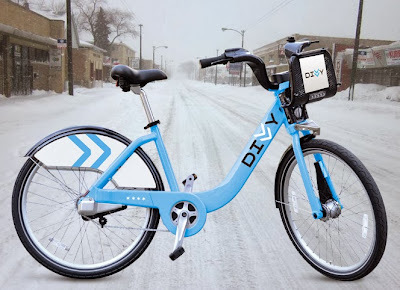 "If the Divvy bicycle is not returned to a Bike Dock within a period of 24 consecutive hours, then the Divvy bicycle is deemed lost or stolen and Member's credit or debit card will be charged a lost bike fee of up to $1,200." 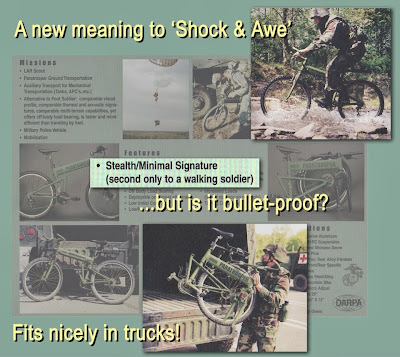 It is not clear if you get to keep the bike after that, but you could have gotten a different well made bike for less than that. 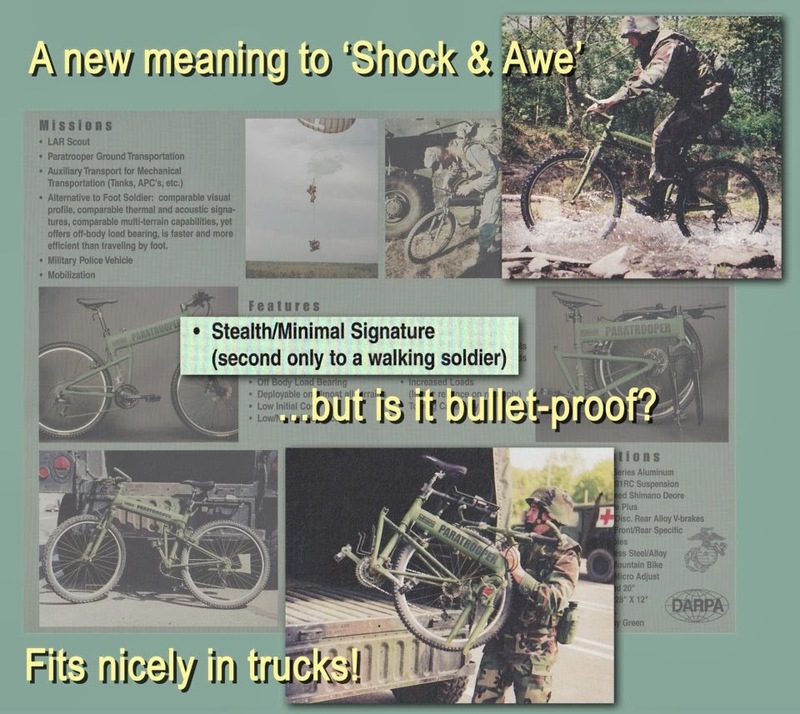 This bike is for consumers, but it is odd that a soldier would need reflectors or need to fold up a bike to fit into a truck. 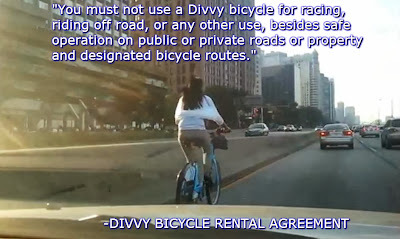 "Member agrees that riding a Divvy bicycle involves many obvious and not-so-obvious risks, dangers, and hazards, which may result in injury or death." Understanding the rules, may be a bit tricky, as you have to also know the Rules Of The Road! Like NOT riding on Lake Shore Drive. I will get an annual membership, when Divvy comes closer to my place in Chicago.